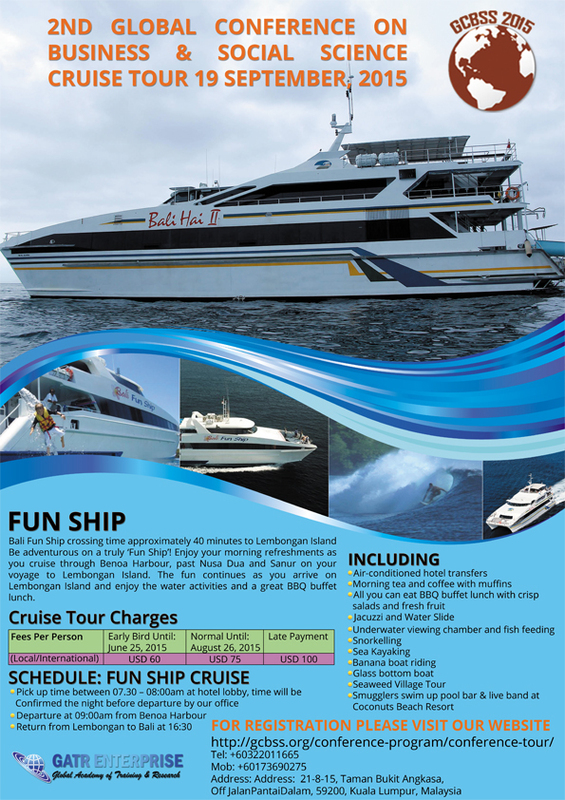 Bali Fun Ship" is a 26m fast catamaran with a capacity of 300 passengers. The only boat with a "jacuzzi" and a water slide from the top deck straight into the water Departing from Benoa Harbour, Bali the crossing time approximately 40 minutes to Lembongan Island Be adventurous on a truly 'Fun Ship'! Enjoy your morning refreshments as you cruise through Benoa Harbour, past Nusa Dua and Sanur on your voyage to Lembongan Island. 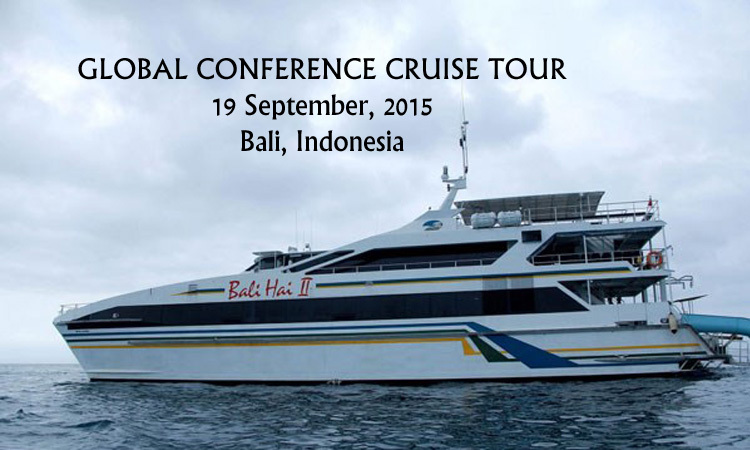 The fun continues as you arrive on Lembongan Island and enjoy the water activities and a great BBQ buffet lunch. The Global Conference on Business and Social Science finance division will protect your personal information. We will not sell or reallocate your information to anyone.